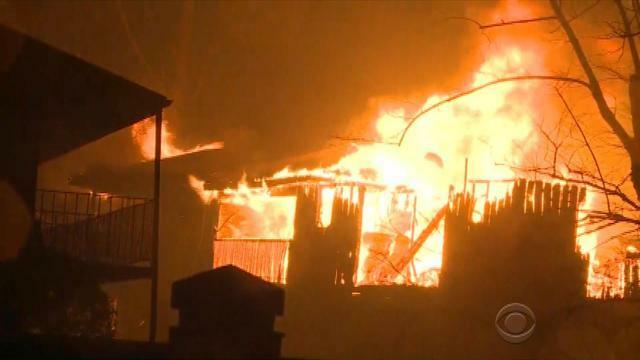 The death toll blamed on the devastating wildfire in Tennessee continues to rise. It has now killed more people than any other U.S. wildfire in the last 13 years, and Tennessee’s governor has declared a state of emergency. We speak to people desperately hoping to find missing loved ones. President-elect Donald Trump has tapped Gen. James Mattis to be his defense secretary. Often referred to by his nickname, “Mad Dog” Mattis is widely known for his blunt speaking style. He’s been is a vocal critic of the Iran nuclear deal, and could deter Mr. Trump from isolationism and negotiations with Vladimir Putin. But his senate confirmation could also face a legal roadblock. Donald Trump was effusive in praising United Technologies this week for agreeing to keep jobs at its Carrier subsidiary from leaving Indiana for Mexico, saying the company had “stepped up.” But another factor may have been at work: an implicit threat to yank lucrative federal contracts from the defense conglomerate if it ignored the president-elect’s pleas. Will Rahn suggests there’s a fantastic job in the incoming Trump administration for Mitt Romney, but it’s not at the State Department; it’s at the Department of Veterans Affairs. Rahn says the former front-man for the “Never Trump” movement’s skills as a turnaround artist could save lives -- if his ego can take it. Only on “CBS This Morning,” members of the Rockefeller family are giving their first TV interviews about a public falling out with ExxonMobil. The energy giant is one of the successors to Standard Oil, founded by John D. Rockefeller. Some of his descendants take issue with ExxonMobil’s record on climate change. Carnival’s Princess Cruises will pay a $40 million fine for dumping oily waste into the ocean. It’s the largest penalty of its kind in history. The company also pleaded guilty to seven felony charges. We look at how a whistleblower and an elaborate workaround system prompted the investigation. Smartwatch or fitness tracker -- which one to give? What does the future hold for children with HIV?